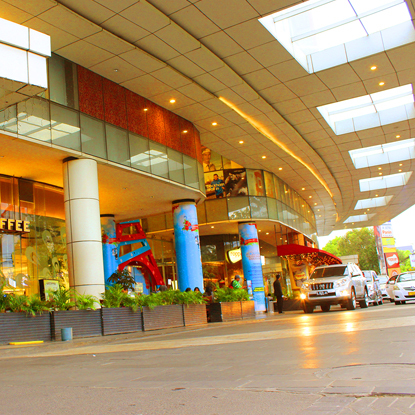 Pejaten Village is a retail mall with six levels and a basement level strategically located in the heart of South Jakarta, surrounded by commercial developments such as medium-rise office buildings, shop houses and hotels. It is also within close proximity to Kemang, Jakarta, which is a popular residential area for the expatriates. Pejaten Village offers both destination and convenience shopping, supported by its central location which is easily accessible by cars and public transport. Anchored by Matahari Department Store and Hypermart, it provides shoppers with a diverse and comprehensive shopping options including well-known retailers and brand names such as J.Co Donut & Coffee, Fitness First, The Body Shop and Samsonite.